The purpose of this section is to provide the archaeological community and others with an overview of how law enforcement works to protect cultural heritage; to outline the safeguards offered by cultural heritage law; and to suggest ways that archaeologists may contribute their expertise to this process. The Department of Homeland Security recognizes that safeguarding cultural heritage is a national priority. Its concern is in making sure that the heritage of another nation is not plundered for illicit gain; that property is not used by or for criminal enterprises, activities, or networks; and that there is no illicit traffic of archaeological and ethnological materials into the United States. In this regard, the efforts of law enforcement align with those of the archaeological community, who work to protect sites from pillage, and to preserve the world’s cultural heritage for the future. Customs and Border Protection (CBP) is the frontline for anything imported into the United States. Customs and Border Protection Officers clear people and merchandise through the U.S. border and have search and seizure authority. They also collect customs duty; original works of art more than 100 years old are exempt from duty. A CBP officer who comes across archaeological or ethnological material will contact a number of different people, including CBP Counsel, CBP Import Specialists, and Immigration and Customs Enforcement (ICE) Special Agents. CBP Counsel provides a legal backbone and structure for pursing cases. CBP Import Specialists review specific categories of commodities. Antiquities usually fall under the umbrella of Fine Art and Antiquities. Import Specialists and other sections within CBP also handle investigations. Immigration and Customs Enforcement (ICE) generally handles more in-depth investigations of material and/or violations of customs laws. These agents, too, have search and seizure authority. For example, ICE may investigate institutions, galleries, or private individuals if they are suspected of importing material contrary to law. ICE may also contact one of the international ICE Attaché Offices for additional assistance (there are 63 offices in 44 countries, see a list in the “Resources” section, below), a foreign ministry of culture (or equivalent entity), or the U.S. Embassy in a foreign country (most likely the Political Affairs Officer, or PAO, or the Cultural Affairs Officer, or CAO). ICE may also be in direct contact with experts such as archaeologists, art historians, and conservators. Both ICE and CBP work closely with Interpol, the U.S. Department of State, other U.S. institutions, and experts. In addition, they work closely with Assistant United States Attorneys in order to develop criminal cases or reach out-of-court solutions. Where does the FBI fit in? The FBI maintains an Art Crime Team, which consists of 13 special agents and 3 trial attorneys. Depending on the nature of the particular case, the team may work with or independently of the Department of Homeland Security. For information about the Art Crime team, consult the “Resources” section. How does a legal case progress? What do archaeologists need to know about consulting as an expert? When CBP comes across archaeological or ethnological materials at the border and seeks to detain them, the officers must be prepared to explain to the importer (or the customs broker who works on behalf of the importer) exactly why the material is being detained. CBP and/or ICE will likely contact an expert. CBP and/or ICE should provide photographs of the merchandise. Is the object real? Explain reasons for or against authenticity. Where is the object most likely from? Think in terms of likelihood. Region and type of context will be very useful. What is the history of excavation and/or looting? Give an overview of the history of excavation in the region, any known periods of looting, ongoing research, and interest in the region by the international and local communities. What market exists for these objects? Provide basic auction values and a history of collecting. This information gives a law enforcement office the context of why an object might be imported for sale. What legal protections exist for these objects in their home country? Explain how heritage is handled in the respective country. Detailing the permit process, for example, will give a law enforcement officer information about how archaeology is conducted in the respective country. The future of any case is determined by the various sections of CBP and ICE, as well as Assistant United States Attorneys. Keeping in touch with law enforcement helps an expert understand what is required and the timeframe. ICE and CBP may have budgets to cover expenses for experts if and when a case moves forward and a major time commitment is required. As an expert, you may also be asked to help in establishing the value of an object that is involved in a legal case. For example, for sentencing purposes in a criminal case, “value” may include commercial value (the fair market value), any costs related to its restoration and repair, and the archaeological value (“the cost of retrieval of the scientific information, which would have been obtainable prior to the offense, including the cost of preparing a research design, conducting laboratory analysis, and preparing reports, as would be necessary to realize the information potential”). In many cases, archaeologists may also be able to assist with contacts in a foreign country at the U.S. Embassy or ministry of culture (or equivalent). Furthermore, they can also put law enforcement officers in touch with other experts in the U.S. and abroad. What role does the 1970 UNESCO Convention have? One common misconception is that the 1970 UNESCO Convention banned the international trade of plundered cultural heritage. This is not necessarily true. The 1970 UNESCO Convention does not set a legal timeline/date at the U.S. border. To understand how the 1970 UNESCO may apply at any national border, consult with the ICE Attaché Office, Interpol, U.S. Embassy, or U.S. State Department Cultural Heritage Center (http://exchanges.state.gov/heritage/index.html). The Convention has been critically important for raising awareness about cultural heritage theft and preservation, but under the provisions of this Convention no criminal prosecutions result from the importation of illicit antiquities. Which laws protect cultural heritage at the U.S. border? The laws that apply in this area include international laws, treaties, federal and state laws, and federal regulations. The laws are complex and their interaction is complicated. Different categories of law permit different protections. Here, I will briefly discuss national ownership laws, smuggling statutes, bilateral agreements between the U.S. and other countries, and OFAC sanctions. One of the first questions is whether a country has a national ownership provision. Many countries have some form of a national ownership law, which means that heritage (in general) is not private property, but state owned. National ownership laws usually prevent archaeological materials from leaving the country without governmental permission. In such instances, written permission from a ministry of culture (or equivalent entity) is required. Foreign national ownership laws have been recognized by U.S. federal courts (see cases below). Violating the U.S. National Stolen Property Act (18 U.S.C. 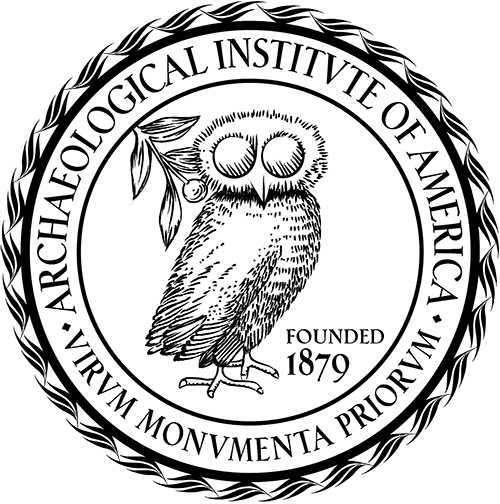 §§ 2314 and 2315) through the handling of stolen property (including the handling of archaeological materials that are subject to foreign national ownership) or the violation of other smuggling statutes (see below) may result in criminal prosecution; and, under certain conditions, the Archaeological Resources Protection Act (16 U.S.C. § 470ee[c]) may also apply. Penalties may include possible prison time, fines, and forfeiture of the archaeological material in question. National ownership laws also affect the study of archaeology within a foreign country. When traveling abroad people should be aware that in the majority of countries a foreign ministry of culture (or equivalent entity) manages cultural heritage, overseeing all permits for archaeological surveys and excavations, and granting permission for the study of collections held by museums and other cultural institutions. As archaeologists and other scholars are aware, the permit process is very strict. If you are abroad do not participate in heritage-related excavation, survey, or other research/activities unless you are sure that the work is sanctioned/permitted by the respective government. Typically, there is a ministry-appointed representative who oversees all foreign and national projects. If you have questions, consult with the country’s ministry, the Cultural Affairs Officer (CAO) at the respective U.S. Embassy, Interpol, and/or the Cultural Heritage Center at the U.S. Department of State. Archaeologists, too, can be valuable contacts. Materials on loan for museum temporary exhibitions are given export permission and may have immunity from seizure while in the United States (see “Resources”). A copy of the export documentation is kept by the respective cultural heritage authority granting export permission. The UNESCO heritage law database (see “Resources”)can be useful for finding relevant laws (be aware that many translations are not official translations and the laws posted for a particular country may not include all potentially relevant laws). Bringing plundered or stolen material into the U.S. may also be a violation of basic smuggling laws. Although there is no duty on most archaeological material, failure to declare materials properly is a violation of U.S. law. If an importer makes a false statement by, for example, declaring an incorrect country of origin (for archaeological material, the country of origin is generally the place of modern discovery) or for giving an inaccurate historical date, market value, or authenticity (declared as a replica or tourist curio rather than as an antiquity), certain forfeiture or criminal penalties may follow. The United States became a party to the 1970 UNESCO Convention when the 1983 Cultural Property Implementation Act (CPIA) became law. The CPIA establishes a process for the creation of a bilateral agreement/ Memorandum of Understanding (MoU) between the U.S. and a foreign country. Under Article I of a MoU the U.S. may impose import restrictions upon certain classes of archaeological and/or ethnologic material. There are no criminal penalties attached to these bilateral agreements; restricted material can only be forfeited and returned to the country of origin. Currently, the U.S. maintains bilateral agreements with Bolivia, Cambodia, China, Columbia, Cyprus, El Salvador, Guatemala, Honduras, Italy, Mali, Nicaragua, and Peru; there is also an emergency agreement with Iraq. The U.S. Department of Treasury’s Office of Foreign Assets and Control establishes this particular class of sanctions. Although they are typically punitive, and are most often employed to prevent money laundering and weapons trafficking, they also cover cultural heritage from Cuba, The Democratic Republic of the Congo, Ivory Coast, Iraq, Iran, Liberia, Myanmar (Burma), North Korea, Sudan, Syria, and Zimbabwe. AIA Site Preservation Program presents its newest Heritage, Conservation, and Archaeology publication. A Summary of Comments Presented at the Public Hearing of the Cultural Property Advisory Committee on May 24, 2016 at the U.S. Department of State in Washington, D.C. The Protect and Preserve International Cultural Property Act aims to crack down on the sale of artifacts looted from cultural sites in Syria.